Smile! Be Happy! Michael Fassbender is a great actor and a swell human being! That's why we ♥ him and stuff! Welcome to Happy Fassy Day!!!!!!!! Michael we love you! you are great! Michael, you are the only artist who make me become a "fan". I proud of you so much :) Don't be sad. You have future. Happy Fassy Day everybody! Is this plan B? 'Cause if so, it's pretty good! Oh no no no dear dshultz! Plan B is quite grand, I hope you will be keen to participate. I'll make a big announcement about it tomorrow. Approximately what time will the announcement be made, because I'll be out all day and internet-less for a good deal of tomorrow. It will be posted by 8:00am, will that be ok? Simone...angel if we r talking about happy days can you remind dates for BAFTA and Irish Film and Television Awards (if im right it s on 12/02) im confused i was pretty sure 12/02 is for BAFTA. oh yeah, that'll be good. Happy Fassy day indeed! 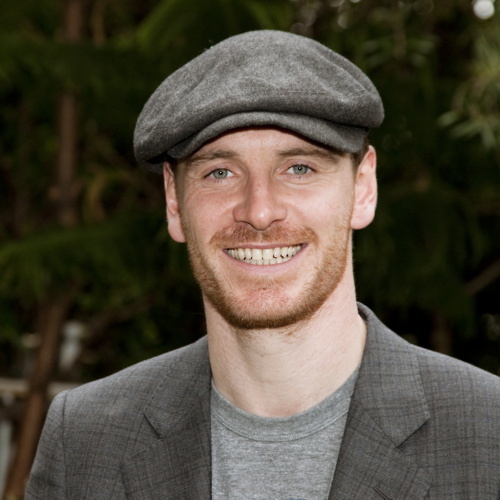 Everyday should be Fassy day. Manuela, The Irish Film and TV Awards will be held in Dublin, on Saturday, Feb 11th. And BAFTA will be held the next day, Sunday, in London, on Feb 12th. It's going to be an exciting weekend! i hope it s going to be fun for our ginger!!!! If this is just plain awesomeness and not just Plan B, then I can’t wait for Plan B! :-) Thanks for keeping up everyone’s spirits, Simone. We’re with you, all of us Fassinators need to keep it together. That’s what fans do, right? We support our best actor! I am proud to be a fan of Michael Fassbender AND to be known as a Fassinator! This weekend I am indoctrinating my friend in the joy of Fassbender: we're renting X-men, Inglourious Basterds, and Fish Tank (which I own, so I can watch it whenever I like, with the relevant scenes - you know which ones! - in slow-motion). I'm a latecomer to the Fassy love. I saw Shame 2 weeks ago and it totally blew me away, so I set out to watch Hunger, Fish Tank, and The Devil's Whore all in the same weekend. I spent about four hours last night looking at clips and interviews on the internet. And the night before. And the night before that. I think we can safely say I'm converted! Flora: you're exactly the kind of fan that we want! I love that Michael is making new "converts" with his body of work this year. @ Flora, when I found out about Fassy I did the same thing. I went and rented what videos I could, read almost every interview/article that mentioned him, went on Youtube and watched all his interviews and then started to lurk around FF before I made my grand entrance! lol Glad you finally joined the club! This year was SUCH an embarrassment of riches that next year will seem almost anti-climactic in comparison. The BAFTAs will pretty much be the end of this era, but I simply cannot wait for the next era to start. I want Prometheus to be a HUGE box office smash, thus proving his tenability as both a critical darling and a financial draw. And I'm almost more excited about finding out details on Twelve Years A Slave and the Scorsese project he's in talks for. More awards opportunities on the horizon! Hi from Indonesia.. Happy Fassy Day!! i'm really upset this year's academy.. fassbender deserves an oscar!! Can't wait to see what plan B is ?! I hope i can join in . Can't wait to hear on Plan B! He's probably been sleeping at home for two days straight after that grueling press tour. I wouldn't be surprised if he's lined up for more UK press before the BAFTAs, though. Supposedly he is in Atlanta & the visit is connected to one of his future projects. The most popular speculation right now is that it's the pre-work for "12 Years a Slave". But who knows. I'm pretty sure he will be doing more promotional work, especially that UK/Ireland release of "A Dangerous Method" is February 10, so probably more interviews to promote it are coming. UK press is definitely a strong possibility between now and the 12th (BAFTAs awards ceremony). I would give anything to see him on Charlie Rose. The UK premiere of A Dangerous Method is this Tuesday, 31st Jan in London, so hopefully he will be there! I briefly considered going down after work (I could get there in 20 minutes, it wouldn't be too much out of my way), and then realised, no, I'm too old for that stuff - but I was very tempted! I'm sure there'll be some nice pics, though. The hair is growing back nicely, hurray. Anon at 11:01 AM: so sorry, I had a brain fart! I meant Graham Norton, not Charlie Rose! Hope all is well ther in Fassy land and know that you are thought of fondly.